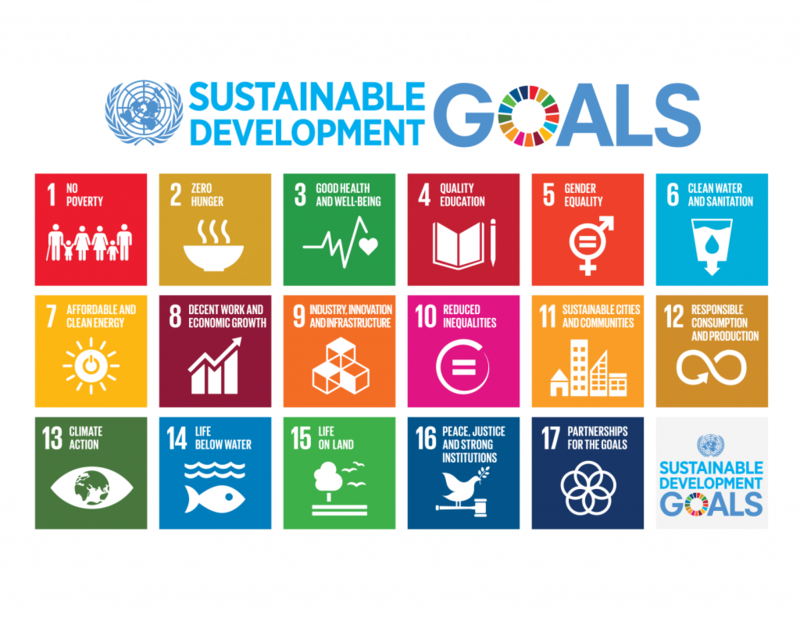 The second global goal for sustainable development (SDG) calls for us to not only end hunger, but also promote sustainable agriculture and improve food security and nutrition – three interdependent objectives that ultimately call for a transformation of the food system as a whole to a truly sustainable state. 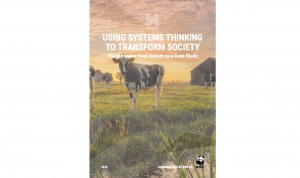 As we mark two years since the goals were established, Metabolic Consultants Leonardo Verkooijen and Oscar Sabag look at how systems thinking is essential if we are to address the challenge of transforming our food system. Structural food insecurity affects 795 million people, impairing health and educational development while ultimately entrenching cycles of poverty. Farmers and fishermen, the main providers of our food, are among the world’s poorest. Food production activities are a major driver of biodiversity loss in land and water through agricultural expansion, overfishing, release of nutrient waste and agrochemicals, introduction of invasive species, and release of greenhouse gases. Agriculture nowadays occupies about 50% of the plant-habitable surface of the planet and uses around 70% of freshwater extractions. The entire food chain, and its embodied energy use, contributes with up to 30% of global greenhouse gas emissions. A holistic transition to sustainability in the food system is necessary not only for the achievement of SDG-2, but for many others. We produce enough food to sustain our population, but it’s uncertain whether production will continue to meet the 60% increase of demand, above 2006 levels, expected by 2050. Our current practices have high outputs, but erode the natural capital base that provide the foundation of the system. Industrial farming practices erode fertile soils and deplete fossil aquifers, both effectively non-renewable resources, and the whole system depends on fossil fuels to function. Monoculturing and homogenization of agricultural varieties facilitate economies of scale in production, but have decreased the genetic diversity of our food supply. If we are to attain a world with zero hunger, we must create systems that meet today’s food demand without risking collapse for future generations. This requires multiple and coordinated interventions, from agriculture to trade networks, and support activities in funding and research. There are no universal solutions and we must understand the importance of context to determine what’s the best approach in each circumstance. 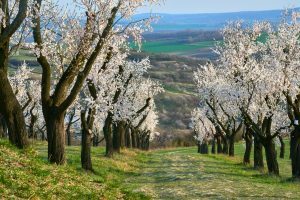 There is a place for both landless and agroecological production methods. 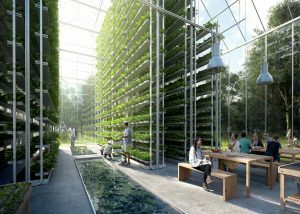 High-precision techniques in controlled environments can be integrated into the urban space to liberate space in rural areas for ecosystems. Polycropping methods can yield additional environmental services and sustain biodiversity in semi-natural environments. We must completely remove policies, such as the EU’s Renewable Energy Directive, that encourage biofuels in the energy mix and strain land resources. A 2015 amendment to this policy capped food-based biofuels at 7% of the fuel mix by 2020, but this still creates unnecessary pressure on the environment and increases food prices. We need to close nutrient cycles to reduce the demand for energy-intensive chemical fertilizers and prevent the loss of phosphorus – a critical and non-renewable resource. As our offices are based in Amsterdam, allow us to take the Netherlands as an example. Owing to its intensive livestock production, it has historically been unable to curtail its nitrogen emissions. In a vision developed by Metabolic for a circular food system in North-east Brabant, we recommended addressing this based on principles of sustainable protein production, for example: using insects as livestock feed, stimulating techniques such as soil-less systems, promoting industrial symbiosis between different food producers, and closing nutrient cycles within Western Europe. We also need to look at consumers and trigger long-lasting shifts to lower impact diets. 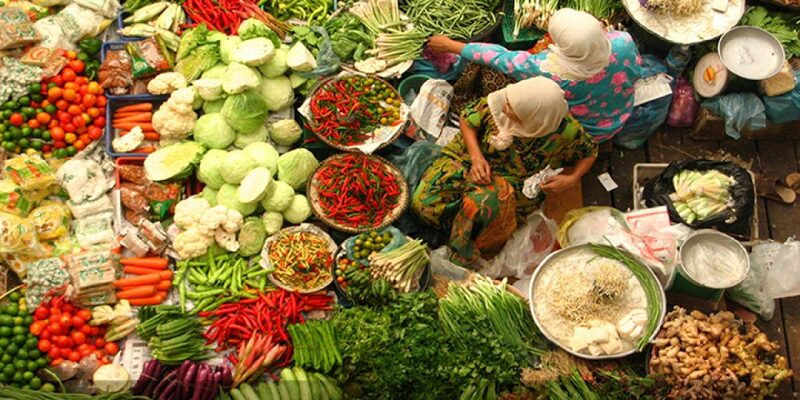 (See our article: ‘Ten ways to shift consumers to sustainable diets’). This means decreasing meat, and especially beef, consumption, but also developing alternative protein sources such as insects, seaweed, and even lab-grown meat. By switching animal feed from a grain-based diet (that has a high concentration of fertilizers) to an insect-based feed, impacts can be lowered significantly, for instance, by replacing soy-based feeds that can be associated with deforestation of the Amazon. A Dutch example that might inspire other countries be found in Protix Biosystems, one of the few companies that produces insect-based animal feed and has the potential to push this system change in the right direction.About 30% of our food is lost in the production chain or wasted by consumers. Several Dutch initiatives are tackling this problem. 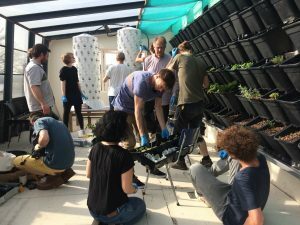 Instock is a restaurant which uses food that would be normally thrown away by supermarkets and De Verspillingsfabriek, or the Waste Factory, uses imperfect and discarded/leftover vegetables, to make soups and sauces. These concepts can be replicated and scaled in other parts of the world. Institutional changes are also needed. Improved governance at the high seas and sustainable extraction management are urgent to prevent the collapse of most commercial fisheries, 58% of which are fully exploited and 31% overexploited. Global supply chains connect the most vulnerable with the strongest actors. Instead of serving to entrench poverty and facilitate continued environmental damage across the world, we need to redesign these relationships to build capacity and transfer wealth and capital to the developing world. Moreover, we must ensure the expansion of the resource base in these countries: improving infrastructure, developing knowledge centers, generating open-access technology, and creating safety mechanisms such as agricultural insurances. Dutch partnerships such as the FMO Entrepreneurial Development Bank and IDH (Sustainable Trade Initiative) are actively supporting smallholder farmers in the developing world through financing used for infrastructure or grants devoted to training, farmer aggregation structures, and other necessary farmer development mechanisms. It’s through this holistic perspective, where we tackle these complex problems on all fronts and head towards a common sustainability vision, that can create a world with zero hunger, today and in the future. 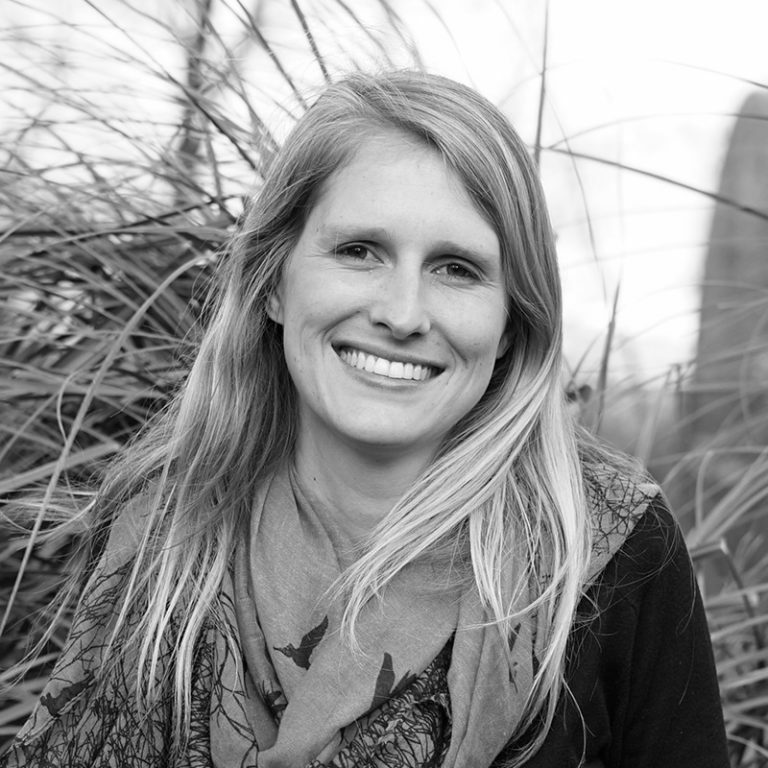 This article was first published in the Dutch Forum of the United Nations (NVVN). More information on the authors: Leonardo Verkooijen and Oscar Sabag. Read about our contribution to WWF’s landmark Living Planet Report 2016, where we wrote on how we must use systems thinking to tackle major challenger like food.